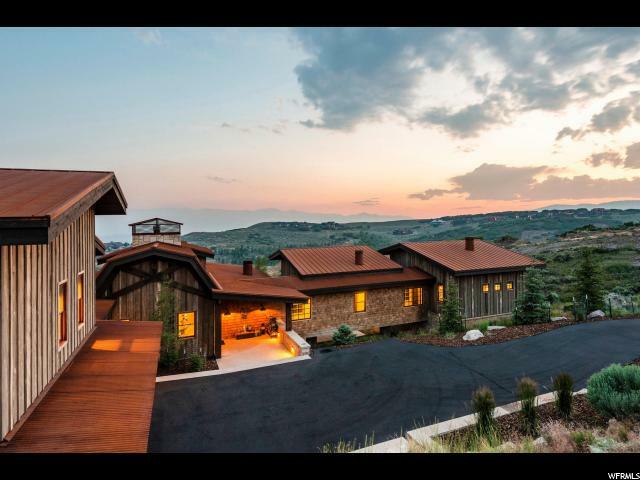 All PROMONTORY AREA homes currently listed for sale in Park City as of 04/25/2019 are shown below. You can change the search criteria at any time by pressing the 'Change Search' button below. "This incredible home will be one that you want to share with loved ones and guests. Incredible entertaining spaces allow you to warm your toes by the floor to ceiling natural stone fireplace, belly up to the western inspired bar, cook in the foodie lover's kitchen, or watch the sun set on the piano shaped deck. Located in one of Promontory's most elevated, prestigious subdivisions, The Summit, with panoramic views of Park City and Deer Valley's ski resorts. This timeless, Clive Bridgewater design has cool details, like reclaimed wood siding, an acoustically perfect performance chamber, and antique wood mantels. "